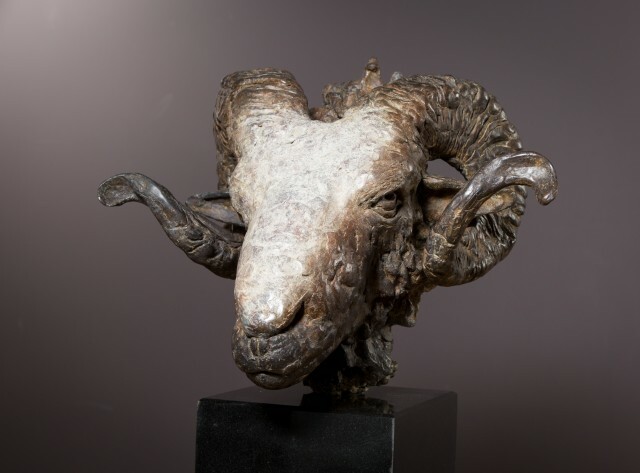 "These can be joyful, wistful, melancholic or humorous as in the Suffolk Ram, Julius Caesar, with his regal Roman Nose!" "Drawing is a means of seeking out structure and form. Building lines and planes, the pressure, thickness and thinness of line and tonal marks inform the making of the sculpture, and are transferred into the anatomical structure and proportion of the clay model. Drawing deepens understanding". He has work in public and private collections in the UK and abroad.